Rigorous and interactive academic engagement is at the heart of the Ogden Honors College student experience. Honors courses provide a dynamic classroom environment in which students discuss, debate, and explore compelling topics and challenging issues — both with their peers, and with renowned faculty members. Honors courses also encourage independent work and student-faculty collaboration outside the classroom. An Ogden Honors course is not just piled-on reading assignments or longer term papers. What makes a course an Honors course is its focus on gathering together top faculty and motivated, intellectually-curious students who inspire and challenge one another. Courses are arranged within an Honors curriculum that is designed to develop, over four years, a student's ability to think analytically and critically, communicate effectively, solve problems, and conduct long-term independent projects and research. In the first two years of the Honors curriculum, students focus on exploring their interests through general education or foundational courses, including our discussion-based special topics seminars. In the latter half of the Honors curriculum, as students begin to take more specialized upper-level courses in their majors, the focus shifts to independent learning and research. The curriculum culminates in the Honors Thesis, a scholarly contribution appropriate for the major area of study. The Honors academic path prepares students to grapple with issues, to rise to meet and conquer challenges, and to achieve professional success and accomplished leadership. 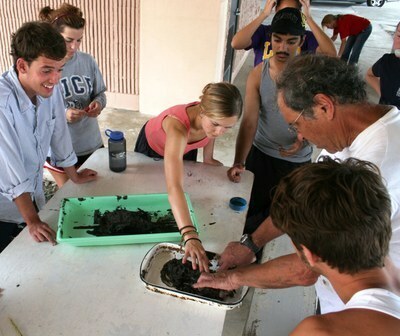 The Ogden Honors College curriculum is flexible; it can be followed in conjunction with any major offered by LSU. Honors enrollment ensures that, for whatever field of interest, the academic experience at LSU is enriched and expanded.